Pedro de Mendoza founded Buenos Aires. This happened on February 2nd. This is Argentina's Independence day. These events took place through May 18 to 25. This happened on July 9th. The Spanish had arrived on their territory but later they declared their independence. This is the day Argentina is founded. Argentina was named one of the most stable and conservative country until the Great Depression hit, and then they were one of the most unstable. This began in 1939 and ended in 1949 when Japan surrendered. Argentina eventually gave in and then declared was with Japan in March 1945. Argentina gave into the Allie's pressure, and then broke relations with the Axis power. War began after that. He was the President of Argentina from 1966 to 1970. He died in 1995 at the age of 81. The cause of his death was a heart attack. 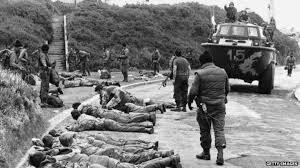 This was a period of state terrorism. Argentina's military dictatorship was against suspected left-wing political opponents. There were around 10,000- 30,000 people killed. These Islands are located more than 300 miles from Argentina. they used military forces to obtain these islands which were administered by the British. The peso symbol is the same as the dollar sign. 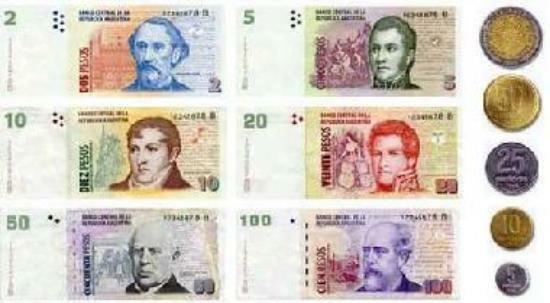 At first the exchange from United States money is 1 peso for 1 dollar. But that expired in 2001 and the exchange rate is now 15.37 pesos to the Argentinean peso. A suicide bomber drove a van full of explosives into the Jewish Center. 86 people were killed and 200 people were injured. Argentina is the third largest exporter of beef. 70 of the cattle were infected. They do not know the source. There was a 12 mile outbreak so they have the area controlled. The animals were vaccinated and the farm as disinfected. Argentina claims gold medals for the first time in 52 years. They received two gold medals in basketball and foot ball. These were the summer Olympics. They paid off their 9.81 million debt to the IMF. They stated that this will help them build father into the future. They defeated Nigeria 1-0 to win the Olympics. Forward Lionel Messi lead the team to victory. Many people say this will give younger people more opportunities to be involved in politics. Over 150 million people will be added onto the voting rolls. These are 16-18 year old. This event was debated on October 31st, 2012. Pope Francis was born in Buenos Aires in 1936. 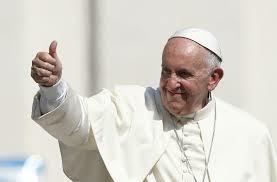 Named the 266th Pope in the Roman Catholic Church. He was the first Pope from the Americas. On March 13 he was named the Pope. 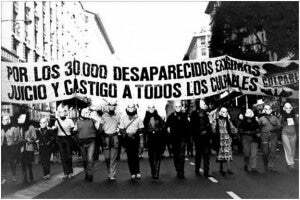 Tens and thousands of Argentinean people were captured and were kidnapped or killed. This was a 10 month trial where they had 130 different witnesses. These witnesses were people who had to experience this pain when kidnapped. The volcano released smoke for 9 miles near Puerto Varas. With the ash cloud this created wind making it difficult for planes to fly. Almost 4,500 people were evacuated from the area.